Well, I've made it to the airport and am currently awaiting boarding for the next leg of this trip. Such a shame to be leaving Canadia as I was having so much fun however there's new things to experience and new places to visit. It had been raining earlier however after washing and packing it had cleared a little so I walked around Van again. 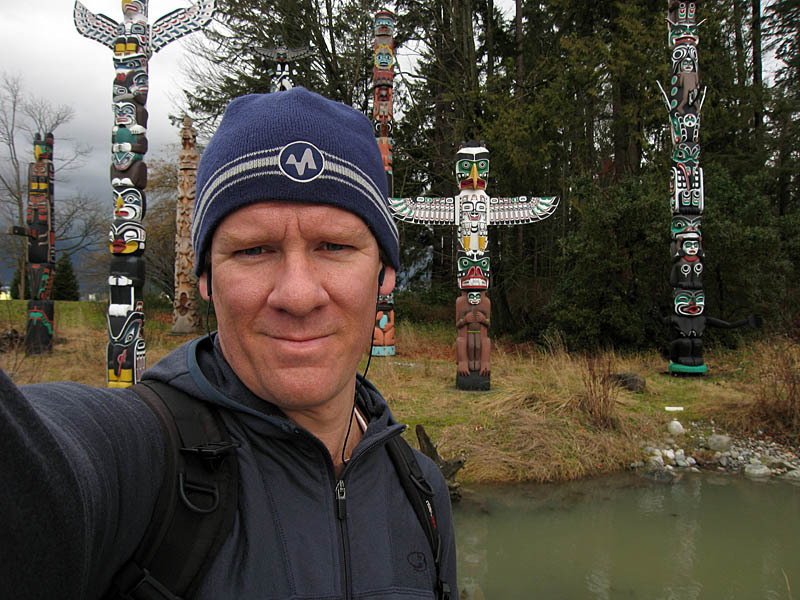 I made it to the other end of Stanley Park so I saw the totem poles and a reasonable chunk of the park. I scored two more blisters today which was dissapointing but hey... that's travel. I was also feeling crook throughout the day so I'm a little worried if I'll be using the barf bag at some point. Another coupla random pano's. Made it home in one piece after a little shopping (I wish Mikey were here for that, I coulda done with his advice!) and finialised packing. Fortunately everything fit and Steve called me a taxi. I said my thanks and byes and they're heading up Cyprus tonight with Brian and Tanya as it had been closed all day and was opening after scoring 15cm. So, here I am again waiting to board a BA flight. 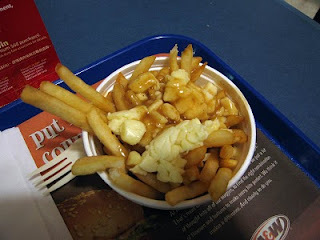 Steve suggested checking out A&W's pootine which is basically chips, curd and gravy and is probably the closest thing to a national dish that the Canadians have. Seriously, it tastes better than it looks. I just hope my stomach holds it down!